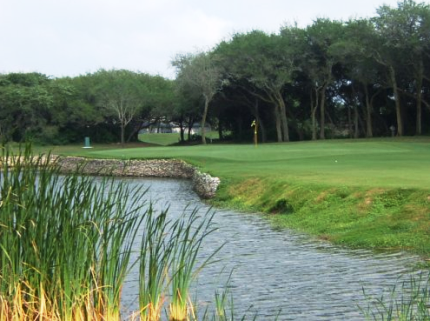 Hatch Bend Country Club, is a Semi-Private, 9 hole golf course located in Port Lavaca, Texas. This well-established course has water hazards coming into play on several holes. The fairways are somewhat open and bordered by a standard cut of rough, and the average-sized greens vary in undulation. 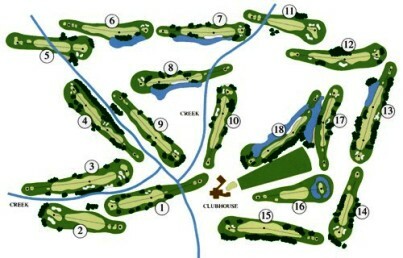 There are additional sets of off-set tee locations that can be used when playing a double-loop 18-hole round. Par for the course is 36. From the back tees, the course plays to 3,036 yards. From the forward tees, the course measures 2,849 yards. The longest hole on the course is # 5, a par-5 that plays to 537 yards. The shortest hole on the course is # 7, a par-3 that plays to 107 yards from the back tees.